Straits Quay, a new development by Eastern & Oriental (E&O) Group, was highly recommended by our friends, who recently visited Penang. Pretty similar to our Keppel Bay Marina in Singapore, Straits Quay is also built on reclaimed land. But rather than just an exclusive member club, Straits Quay is an enclave of retail, F&B outlets, performing arts centre and service apartments. Of course, it has a marina of boating berths accommodating up to 40 boats. We were there on a weekday and the place looks pretty close to a ghost town. I am not sure if it's due to the fact that it's still pretty new, and there are still shop space that is left untenanted. I do hope that there will be more life and vibrancy in the evenings or on weekends. There is much more potential of this place that what we experience on a weekday afternoon. Huge mall with Royal Selangor Visitor Centre. Some shops that I chance upon. 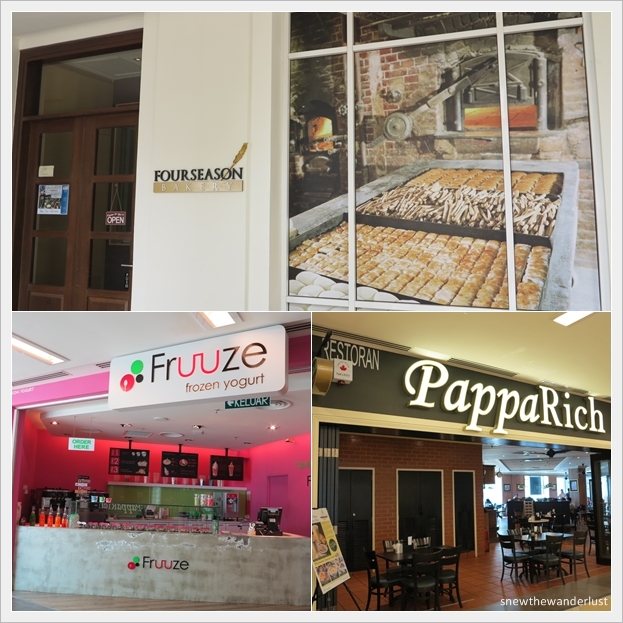 The Four Season Bakery sells Japanese-styled bread, which is high quality and premiumly priced. 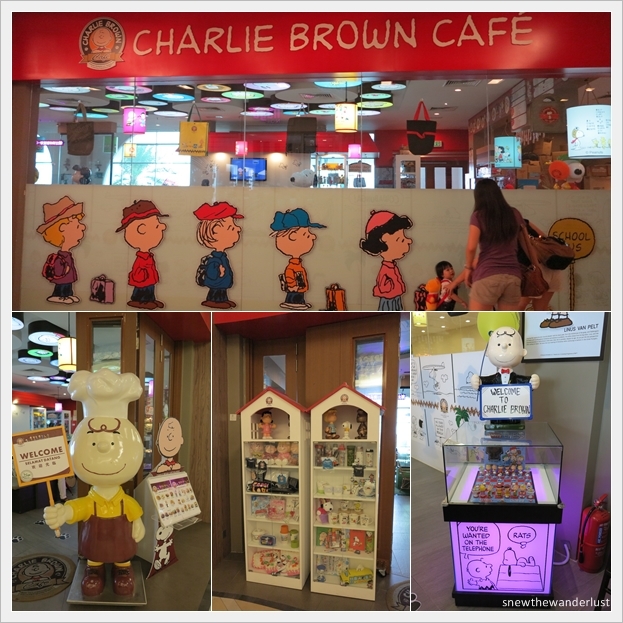 The Charlie Brown Cafe is definitely a big draw. Look at the yummy dessert! All with Charlie Brown cartoon characters! It's such a pity that we didn't have time to dine at the restaurant. Anyway, anyone who has dine there, do leave me a feedback and comment. Straits Quay Marina Mall is located Tanjong Tokong, the same area as Island Plaza, and just about 10 minutes from Gurney Plaza. Developed by the same E&O Group who is behind the most expensive hotel in Penang - E&O Hotel, you find the same colonial white architecture, with a modern touch, throughout the Straits Quay development. Definitely worth a visit. I bet the evenings and strolling on sunset is probably the best time to visit and stroll along the marina enclave.